Quick summary: In this simple experiment the class will have the chance to study the different ways that waste materials break down. The class will bury a variety of ‘waste’ materials and dig them up at regular intervals to see how they are breaking down. This activity can be extended over several weeks or months, with the class revisiting the waste materials each week and recording their findings. 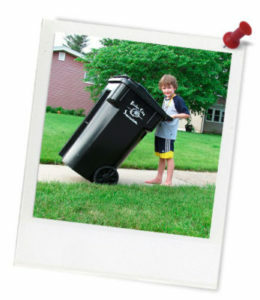 Following this lesson plan is an ideal way for your school to take part in Schools Clean Up Day. You’ll be joining thousands of amazing teachers in making a difference and creating positive environmental change. Students determine how different types of waste take different amounts of time to break down. Students take responsibly for their own waste. Students learn scientific observation skills. Syllabus outcomes: STe-4WS, STe-9ME, STe-7NE. Resources needed: Burial site for waste, digging tools, gloves for teacher and students to avoid contact with waste, different types of waste (glad-wrap, plastic bags, milk bottles and water bottles), printed sheet for recording waste. Keywords: Waste, burial, plastic, food, resources, energy, waste. Cool Australia’s curriculum team continually reviews and refines our resources to be in line with changes to the Australian Curriculum. Overarching learning goal: In this simple experiment the class will have the chance to study the different ways that waste materials break down. The class will bury a variety of ‘waste’ materials and dig them up at regular intervals to see how they are breaking down. Teacher content information: Biodegradation times depend on the environmental conditions. Materials will break down faster when exposed to the elements (sunlight, heat, rain, etc.) and decomposers (fungi, bacteria, insects and other invertebrates). Landfills are not ideal environments for decomposition, so trash in landfills takes much longer to break down. Thought Starter: What is waste? 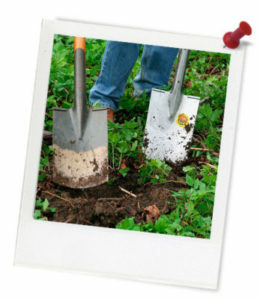 Part 1: What do you think will happen to the waste you buried? Write down which ones you think will break down quickly, and which ones will break down slowly. Part 2: What happened to the waste you buried? Write down which ones broke down quickly, and which ones broke down more slowly.